Want to learn more about ACDSee in a live, interactive setting? No sign-up is required. Visit our Facebook page and navigate to our videos section. Don’t want to miss a workshop? Like our Facebook Page and turn on notifications. Simply sign up above, and we’ll send you an approval email telling you when the workshop will begin. Lobby opens a half hour prior to the workshop so you can jump in and get things set up. Each workshop features a live on-screen instruction so you don’t need to worry about preparing anything beforehand. Participants are encouraged to ask any questions they may have during the event, and can type out a question in the workshop’s Q&A chatbox. Hosts will make sure every question is addressed live! 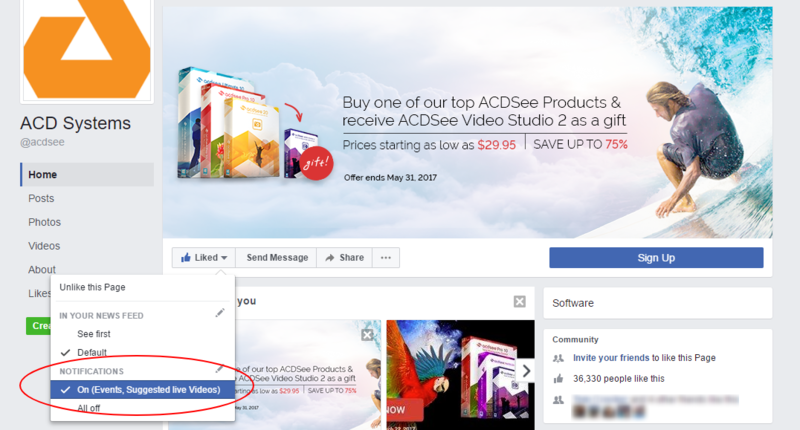 ACDSee Workshops are a monthly segment where we dive into some of the fantastic features and tools ACDSee has to offer, while showing you some practical (and fun!) ways to use them on your own photos. Stay informed. ACD Systems community has something for everyone who is interested in digital photography and photo editing.